When we purchased this new construction foreclosure back in 2010, we knew the bones and location of this home where “perfect”! The hard part, was that everything in the home was new but not our style. For the past six years, we have been transforming this home into “our” home. The floors, walls, cabinets, counter tops, doors were ALL brown. We have been methodically moving through the house turning it into a light and bright farmhouse style cottage. We had two rooms left….the boy’s bath and the master bath. I am so happy to announce that the master bath is now done. Well, when I say done, it is done with the budget we have right now. I would love to eventually put down brick pavers, replace the large jetted tub with a claw foot tub, add some white quartz and get frameless glass on the shower (whew). I must preface these photos by saying that it was not ugly before, just simply dark and not our style. I don’t have a photo of the bathroom with the brown walls and ugly light fixtures but here is the before with cream walls and light fixtures that we changed a few years ago. You can see the large builder grade mirror that shows you WAY more than you want to see! The first thing we did was to remove the large mirror. My hubby taped it up really well so that it would not break during removal. Can you imagine how hard that would have been to clean up?! After the mirror was removed, we began the installation of the AWESOME Stikwood ! This stuff is the BOMB!!! (Do people still say that?) I picked the Hamptons finish, which is a white weathered wood. These are real wood strips that have peel and stick adhesive on the back! All you do is pull off the paper strips and apply to the wall. I’m telling you, one of the BEST inventions ever,! Shiplap for dummies! You can see the ugly brown color that ALL the walls AND ceilings were painted in this house. What were they thinking? After the super easy installation of the Stikwood, I painted the cabinets. Although the safe choice would have been white, I really wanted a pop of color in this otherwise very neutral space. I decided to go with The Olde Barn Milk Paint. I mixed 2 parts Farmstead with 1 part Picket Fence. I wanted a warm blue that was not too dark and I think it turned out perfect! I did have to add the bonding cream to the paint because of the slick finish that was on the cabinets. I used the antique brass hardware that we already had, but now they show up much better. I then painted the entire room white. I used the same Sherwin Williams color I have in the rest of the house, Casa Blanca CUT to 25% of the formula. Its a nice warm white but NOT cream and it matched the Stikwood perfectly! The next step was mirrors! I had hated that large mirror from the very first time I saw it but I knew if I pulled it down, I would have to repair the walls and paint. The thought of this stressed me out, so it stayed. Now we have 2 beautiful round mirrors from World Market. They are on sale AND when I purchased them, World Market was offering an additional 20% off all purchases! Score! My first choice would have been antique mirrors but I could not find two that matched. I’m super happy with the way these look and they really do hang on the knobs that were included. We purchased the lights a few years ago from Home Depot and they were super economical. So the big stuff was now done and it was time to accessorize! Yay! The first thing to do is make the space smell yummy! What better way to do that than a Crimson Clove candle from Burlap Bow Decor. Oh, if you could smell through the screen, you would be in heaven. Then I needed some of those “special touches”, you know those “oh, how cute” things! The best place to find those is Shady Oaks Farm. I could buy everything on their website but I selected this great little “toilet” sign, these perfect hooks and this great stool that I use ALL the time! Of course, EVERY room needs some sheep and the most beautiful sheep prints come from Yes and Amen Photography! I just love looking in their sweet little faces each morning…free therapy. I hope you enjoyed my tour of our Master Bath Mini-Makeover. It was budget friendly and super easy but makes such a huge difference. Now, it finally matches the light and bright theme in the rest of the house. Hope you visit us again soon! Next > The Shady Grove on HGTV.com! Your bathroom is beautiful. 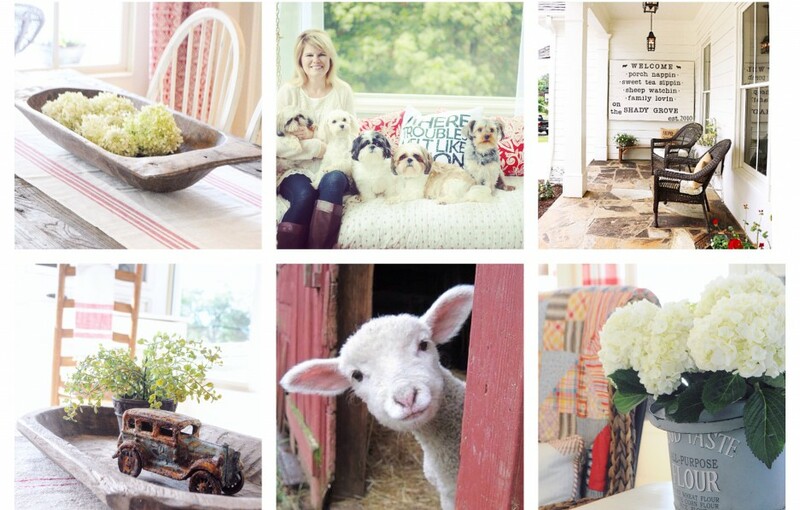 I love, love, love the Stikwood ~ and the pictures of the sheep. I really like your bathroom remodel! Haven’t heard of Stikwood before, but I have lots of places in mind where I could use it! The light fixtures are very pretty and I like the color that you chose for the vanity. My house was built in 1985 and we put in custom oak cabinets at that time. They still look good, but I’d really like to paint at least the bathroom cabinets. I keep putting it off because of the prep work that would be required for a good paint job. Sounds like you’ve got it down, though. It the milk paint a satin finish or flat? Again, your room is a perfect farmhouse bathroom now and looks great! I love it Wendy! Now if I can talk Gar into doing it to my bathroom. Ha-ha! Sure love it Wendy 🙂 Being a weathered aqua girl, of course I love the blue on your cabs. Hoping to try that stickwood too, but my area is quite a bit larger, so saving some nickels and dimes. 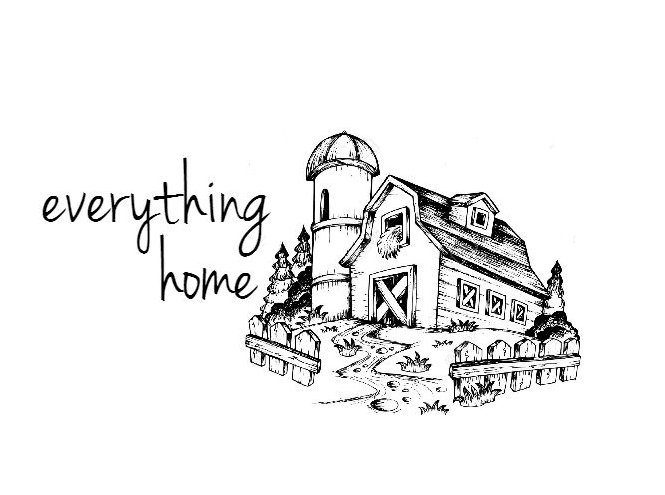 Love all your farmhouse/cottage touches! You did an amazing job! I love how light and bright the room is and your custom mix of Olde Barn Milk Paint is gorgeous!! It adds just the right amount of color to your bathroom makeover! I loved this bathroom the minute I saw your insta-story and waiting for the paint to dry!! Always so inspirational! Definitely a talent that should always be shared! Love your bathroom and your whole house! We are in the middle of remodeling our master bathroom as well, I love the color Casa Blanca and am thinking I might use that, but what did you mean by “cut 25%”? If I went to my Sherwin Williams store and asked them that, would they know what I mean? I have about 10 different samples of colors on my walls, from whites to grays to beige. I’m thinking of going with the Casa Blanca 😁. Thanks for your help!! What a wonderful trans transformation! And thank you for sharing the Stikwood in Hamptons. I’ve been eyeing this to give our kitchen island some character but was having hard time finding examples of the Hamptons color. Love it! Thank you! It’s so easy to use and has great character! Beautiful! I love all the little touches and I love the color of the cabinets! !